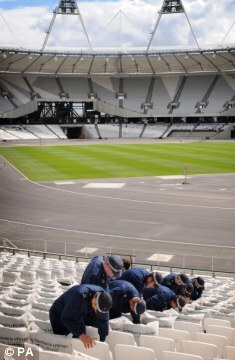 It will cost £6,750,000 per hour to stage the opening and closing ceremonies for the London 2012 Olympic and Paralympic Games. The astonishing figure emerged last night as a spending watchdog warned that the security bill for next year’s extravaganza has smashed through the £1billion barrier. The total cost of starting and finishing the sports jamboree will be £81million, including £41million of taxpayers’ money. Each of the four ceremonies at the Olympic Stadium in Stratford, East London, will last approximately three hours, meaning they will cost £112,500 per minute. The National Audit Office warned that ministers are in danger of overshooting the £9.3billion budget for next year’s games. The Department for Culture, Media and Sport has agreed to pay £41million towards the opening and closing ceremonies – a bill that was supposed to be entirely footed by Locog, the Games’s privately-funded organising committee. 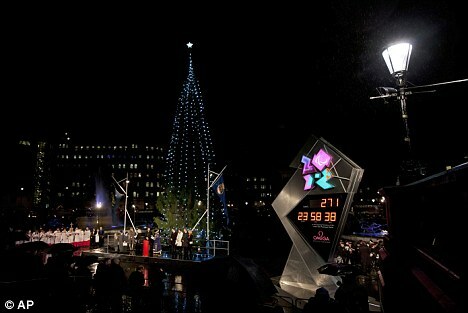 The £41million of public money will double the budget for the opening and closing ceremonies to more than £80million. 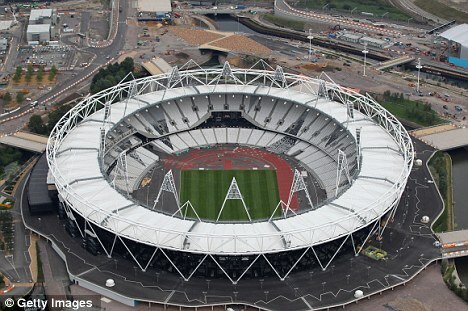 Although Locog has never revealed it initial budget, it was understood to be about £40million. The amount of money needed to ensure the safety of spectators, athletes and officials at the London 2012 games has almost doubled after the number of security guards required was wildly underestimated. Around 23,700 security staff – including 7,000 off-duty soldiers – will be deployed next summer, compared with the original estimate of 10,000. The security bill is growing because £271million has been added to the £282million already pledged. On top of this, £475million has been set aside for policing and wider security, meaning the total cost for keeping athletes, spectators and dignitaries safe during the competition is now £1.03billion. According to the Government’s own predictions, it will need to use £318million of the £354million contingency fund that still remains. 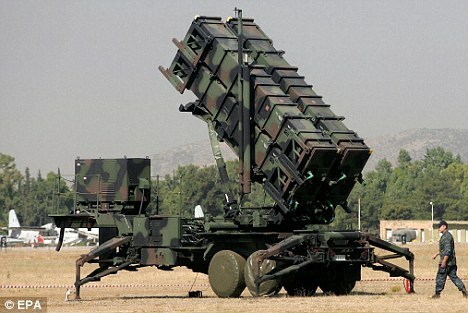 That will leave only £36million to play with. The security plans will cover 100 competition and non-competition venues with 30 control rooms, including the training centres and hotels for visiting teams. About 2,000 X-ray machines and metal detectors. 40 miles of security fencing. The 23,700 security staff will come from private firms, the military, volunteers and a training scheme. Last night the NAO, the Whitehall spending watchdog, warned that ministers must take ‘rigorous action’ to curb spending and said there was a ‘real risk’ the overall budget of £9.3billion could be exceeded. Officials insist the £9.3billion budget will not be exceeded as the extra costs will be funded through savings made elsewhere on Olympic 2012 spending. The Department for Culture, Media and Sport said the Olympic Quarterly Economic Report showed the Games were still on track to stay within budget. With eight months to go before the Games, the NAO has warned that a contingency of only £36million is ‘not a lot of headroom’, considering that the security budget alone has doubled since February. The £1billion plus security bill does not even include the £253million to secure the Olympic venues during the construction phase. The Ministry of Defence is now in negotiations with the Home Office to provide up to 7,000 off-duty soldiers to plug the recruitment shortfall for guards. The Government has denied it is in response to a specific security threat but simply a further analysis of numbers. 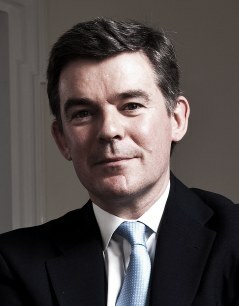 Olympics Minister Hugh Robertson defended the extra spending and said London needed to advertise itself to the world next year. ‘These ceremonies will be aired around the globe and watched by four billion people,’ he said. ‘It is a seminal moment for Britain and we wanted to give it the wow factor and leave a lasting economic legacy. Last night, Margaret Hodge, chairman of the Commons Public Accounts Committee, said the contingency fund was a very small amount for such a large project. ‘What is left in the budget for contingency is wafer thin, at only £36million,’ she said. ‘For a project of this size with unknown risks and eight months remaining, that is a tiny amount of money.